The Beluga 40 ‘Rebbons’ (design no. 137) is launched on March 24th. 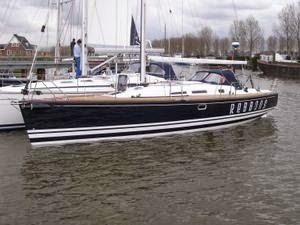 The ‘Rebbons’ is built by Schaap Shipcare in Lelystad. The result is a beautiful built yacht and an excellent example for custom building. The retractable keel and the adjusted interior make the ‘Rebbons’ a unique yacht.